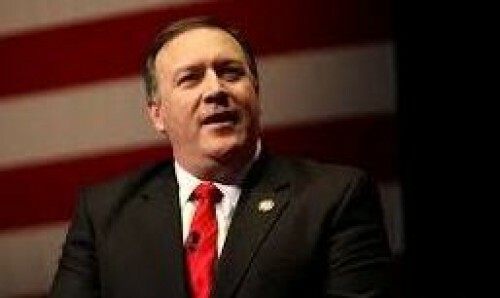 Washington : US Secretary of State Mike Pompeo has said the US will "re-engage" with North Korean leader Kim Jong-un over issues of mutual concern. Pompeo made the remarks on Monday in an interview with B98 FM, a radio station of the US state of Kansas via teleconference, Xinhua news agency reported. "We believe we're still moving forward. It's certainly difficult -- we knew it would be. It's been a decades-long challenge," he said, according to the interview transcript circulated by the State Department. "But we have the toughest economic sanctions in history," Pompeo said, adding that there was the most promising diplomatic engagement in history as well. "And so we made a little bit more progress in Hanoi," he said, referring to the second summit between US President Donald Trump and North Korean leader. "We'll re-engage with him. It's incredibly important that we take down the threat not only for America and for Kansas, but for the entire world," said the US top diplomat. Pompeo said on last Friday that Washington is still hopeful for continued talks with Pyongyang, confirming there is ongoing negotiation between the two sides. After ending the summit in Hanoi on February 28 without reaching an agreement, Trump told a press conference that Kim demanded relief from sanctions against Pyongyang "in their entirety" in exchange for denuclearizing a "large portion" of North Korea's nuclear programme, something the US could not agree to. Dismissing Trump's claim, North Korean Foreign Minister Ri Yong Ho has said that his country only proposed partial removal of the sanctions, wanting those impeding the livelihood of their people to be removed first.